This is a rectangular Pacific Piston Rings porcelain sign. This particular Pacific Piston Rings sign is predominantly black and orange. 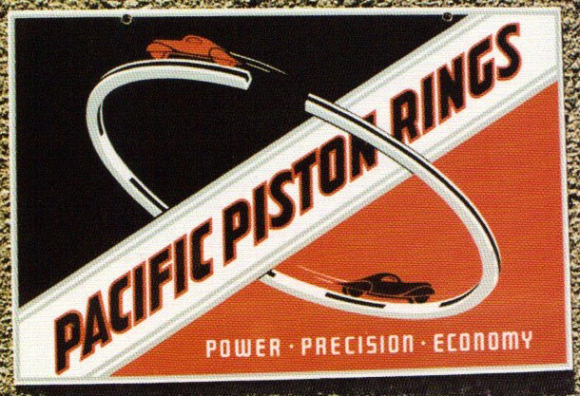 It reads, “Pacific Piston Rings, Power – Precision – Economy” and features two cars racing along a silver ring in the center.